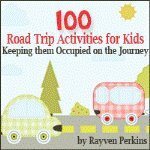 Tourist attractions in Maryland for your ultimate family vacation adventure! 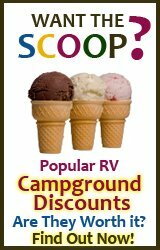 RV Travel with Kids has rated the Top 10 Day Trips in Maryland for your traveling pleasure. You can take a variety of day trips in Maryland from educational explorations to adventures in the outdoors. 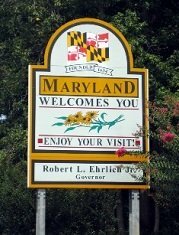 There are also many family tourist attractions in Maryland that are suitable for family members of all ages. Whether you are traveling with younger children, older children, or a mix of both, you can find many great tourist attractions in Maryland that offer a little something to everyone. Day trips in Maryland with your family can be relaxing, exciting, and thoroughly enjoyable. 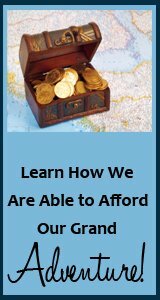 The trick is to find the places that are suitable for everyone traveling with your. The following destinations will introduce you to some of the best options. For your ultimate family vacation adventure there is something very special about the National Museum of Dentistry. It may not sound like an appealing place for children, but once they take a peek at George Washington's teeth they may be consumed by a fit of giggles. It is located in Baltimore and has many displays and fun games to entertain children as well as adults. Baltimore is the home of the National Aquarium where you can see large water displays with some of the most fascinating creatures of the sea. Go below the surface without getting wet and see how the world's fish big and small are living. To make your tourist attractions in Maryland trip more convenient, you can purchase tickets online and find a variety of guides and tips on planning your aquarium trip. You will want to mark out an entire day to spend at this attraction. Another great ultimate family vacation adventure. If you're passing through Cambridge, Maryland or can work it into your route through the state, you can stop off and see how a variety of wooden baskets and barrels are made. Start with the raw materials and come out with something useful and extremely practical. Now, that is a learning experience for children of all ages! This is one of the many tourist attractions in Maine that are suitable for the entire family. The preserve has been working on behalf of the world's animals for many years and opens their doors during the summer months for families just like you to learn and explore. It is located in Thurmont, Maryland which is very close to Frederick. If you are in either of these cities and want to spend some time with the wild, this is the place to go. The Chesapeake Beach Water Park is located very close to Washington D.C., so you can easily add this into a D.C. visit as one of your day trips in Maryland. The park offers thrilling water slides and rides as well as gentler pools where you can float, swim, or just enjoy some time in the sun with the younger members of your family. This is one of the best family-friendly tourist attractions in Maryland because it has something for all age groups. You don't have to worry about safety since you are in a resort town and you don't have to worry about older children getting bored or young children feeling out of their element. If you're trying to teach your family about sensible, healthy and eco-friendly eating, you have to this natural kitchen in Baltimore. They are very different from most other restaurants in that they use organic meats and a variety of other foods that come from sustainable agriculture practices. They use natural, fresh ingredients and deliver food that has all the natural tastes and aromas that you should experience with every meal. Hampden, Maryland is home to one of the quirkiest street festivals to be found anywhere in the country. The Honfest is held every year in honor of the slang term "hon" which is short for honey. This term is now used all around the country, but it is a mainstay in the Maryland culture. The festival offers rides, great food, and of course the pageant to crown the year's best hon. If you find yourself venturing through New Market, Maryland or a nearby community, stop into the Adventure Park USA playground. This is a great family-focused attraction that offers food and fun. You can take your chances on the climbing wall, enjoy a game of miniature golf, or play around with a variety of other family amusements. The park is open all days of the week and has some special events for Easter and other holidays. Another ultimate family vacation adventure is this one of many tourist attractions in Maryland that can be used as an educational trip for your family. 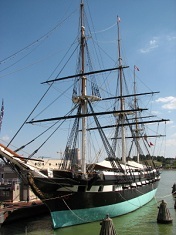 Do some research about the history of this boat before arriving in Baltimore and your children will have a lot more appreciation for the boat as they step on board. You can actually get on the boat and explore what it would be like to sail the sea inside it! If one of your day trips in Maryland will be in Baltimore, this is an attraction that won't take tons of time out of the day but which will teach your family about something very important: history. If your idea of vacation is relaxing on the beach, holding hands on the boardwalk, and putting in some good time shopping and enjoying good food, then one of the best tourist attractions in Maryland for you will be the boardwalk at Ocean City. This is a great option for a day trip or you could time your visit to watch the sunset or sunrise while eating or sitting in the sand. Another great addition to your ultimate family vacation adventure.